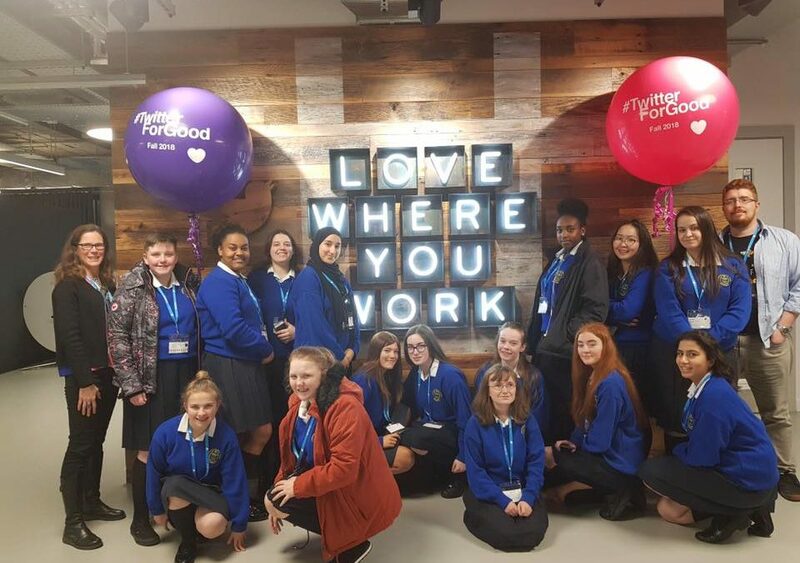 A group of Fifth Year students took a trip to Twitter’s EMEA (Europe, Middle East and Africa) HQ on Fenian Street on Friday, 9th November 2018. They heard about what twitter does, what it is like to work there and how to protect your reputation online. Carlos, ‘the moustache’, gave us a tour of the building, showed us his desk and told us what it was like to work there. We had a delicious lunch (nearly as good as Harry’s menu in the canteen!) and saw the common area where there are comfy sofas, pool tables, ping pong tables and a games zone for the staff to relax when they need a break. In the afternoon, a panel of 5 ‘Tweeps’ answered questions about their career and their path to twitter. A big thank you to Somaries for organising a fun and informative day. There’s also a link to Somaires’ Twitter page – she’s the lady who organised it (Somaries Quintana).